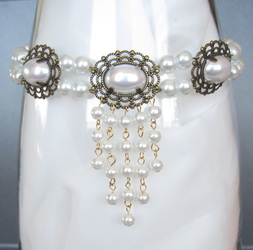 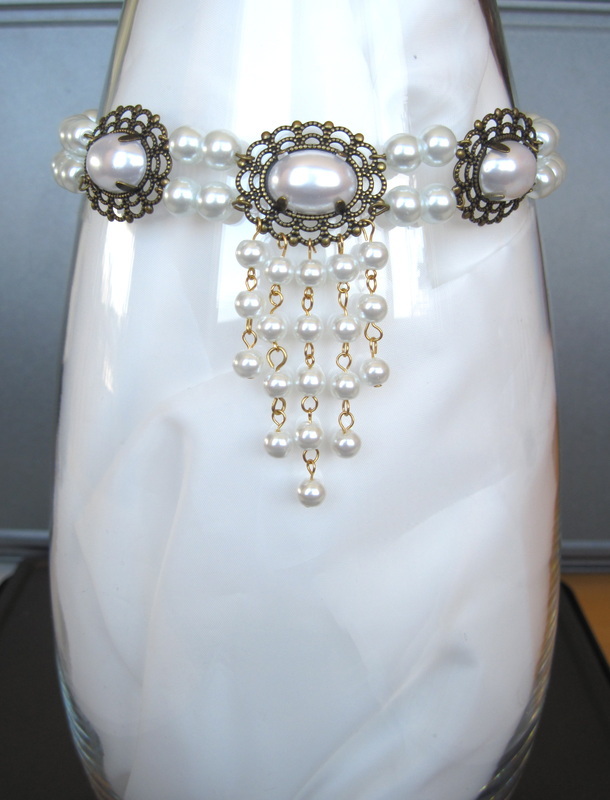 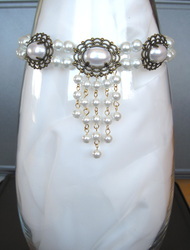 Gleaming white faux pearls dominate this wonderfully elaborate choker and earring set. 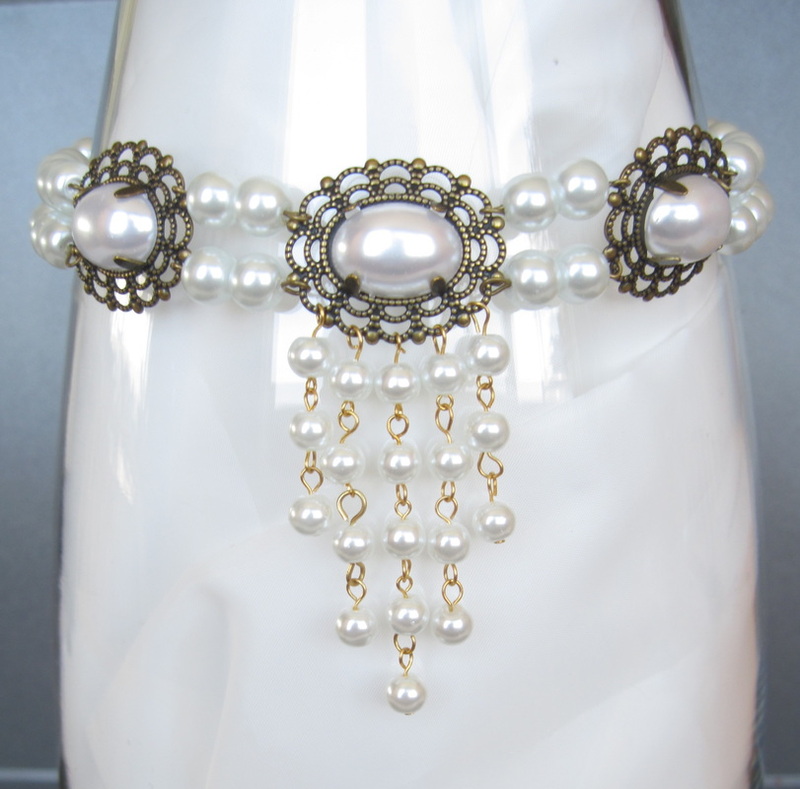 Wealthy, aristocratic women in the Renaissance wore as many pearls as they afford: pearls were the ultimate status symbol for them. 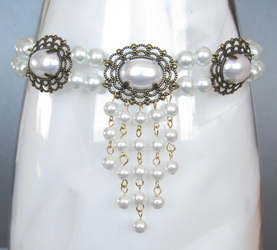 Matching earrings dangle an inch below surgical steel french hook ear wires. 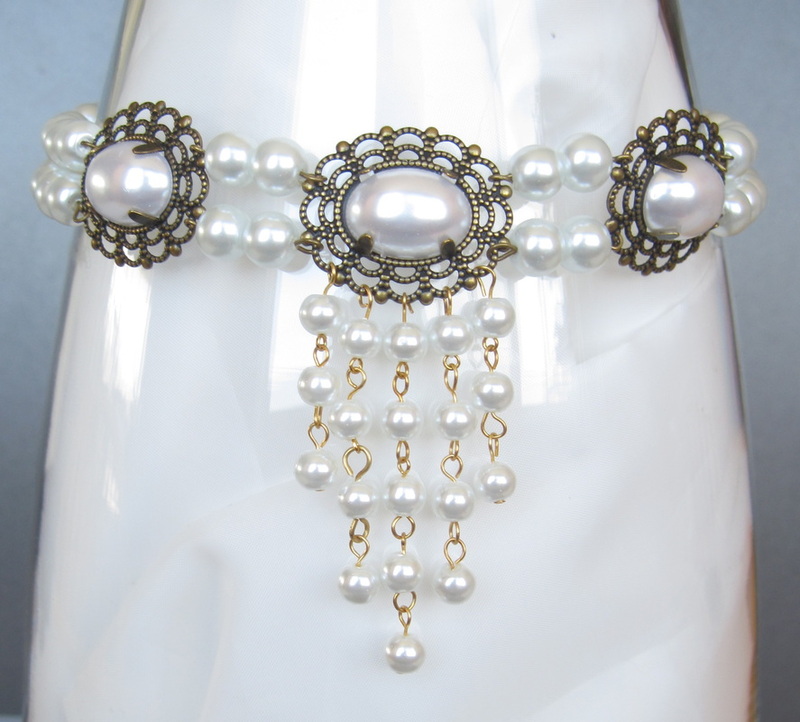 A splendid addition to any lady's garb.